Closed for Winter See you in Spring 2018! Brandt’s Family Tree offers a Variety! 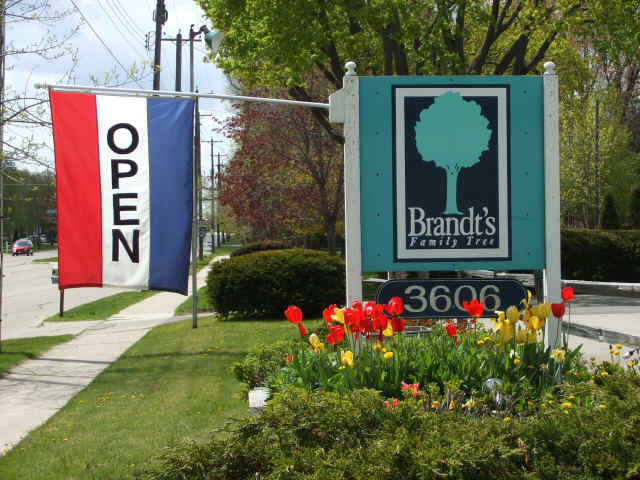 Brandt’s Family Tree Garden Center & Nursery is proud to offer the finest selection of high-quality plant material. We specialize in Trees (Ornamental, Shade & Fruit), Shrubs, Evergreens, Roses and Perennials – with a large selection of Echinacea, Daylilies, Hosta, Heuchera and Peonies. We also offer a unique selection of Specimen Trees, rare Conifers and hard-to find plants. Birdbaths, Fountains, Planters and Trellises. We carry an extensive selection of horticultural products, including insecticides, herbicides, fungicides, fertilizers, mulches, topsoil, potting mix, and mushroom compost… Delivery is available. Most importantly, we offer a knowledgeable and helpful staff willing to share their expertise and offer assistance for the do-it-yourself gardeners.